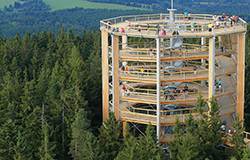 You may purchase the guest card personally at sales points or ON-LINE (mail delivery or personal pick-up at Lipno Infocentre using a voucher that you will obtain by e-mail). The card will be sent with a CZK 40 additional charge to the address above (includes postage and packaging). In case of delivery of several cards to a single address, the fee will be charged only once. The card will be sent with a CZK 90 additional charge to the address above (includes postage and packaging). Cards may be picked up at IC on the following working day after e-mail confirmation of receipt of your payment. 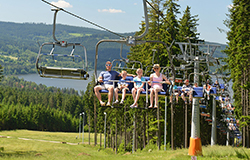 If you are accommodated at a contractual accommodation provider of the Lipno.card system, you will get the card for free with your stay after you arrive at the reception. If you are still interested in the card, complete this order. 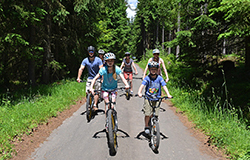 The applicant for the card from LIPENSKO s.r.o., CRN: 281 36 420, based in Lipno nad Vltavou 307, Postcode 382 78, consents to the issuing of the discount card Lipno.card. By checking the box “I agree to the terms”, the applicant for the card expresses their consent to the “General Terms & Conditions for Lipno.card holders” (“Terms”), which are shown on the other side of this request, and declares that they have read these Terms and undertake to adhere to them. At the same time, the Holder agrees to the Operator processing their personal data shown in this request under the conditions specified in the Terms, in conformity with § 5 and the following of Act no. 101/2000 Coll., on Privacy Protection, as amended.